Putting together your own home solar power system may seem like a good idea and you’ll certainly see a ton of tempting advertising pushing DIY home energy systems. Building and installing you own photovoltaic home energy system, however, is not a good idea at all. The only reason that could justify a DIY installation, that we can think of, would be if you had a very remote home or cabin that is completely off the grid and DIY is your only option. Do it yourself installation of a home solar system is full of problems including; it is very dangerous, DIY doesn’t really save money, getting the proper permits and inspections is a “bear” as well as warranties and solar system follow-up. Working on a roof is dangerous business. The biggest cause of deaths in the construction industry is falls from a roof, most of those falls are by roofers and they are professionals. Solar panel installation should only be done by qualified professionals using proper safety equipment. A roof installation of home solar panels is not a job for the weekend handyman. 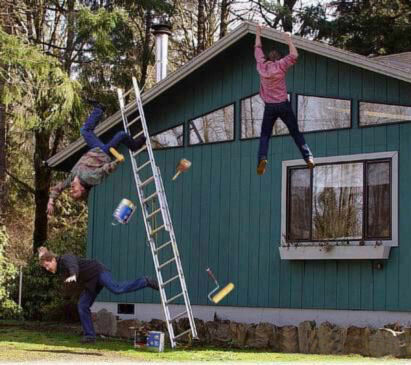 Falls aren’t the only danger when it comes to a do-it-yourself home solar power installation. Electrocution is a legitimate concern as well. As soon as a photovoltaic array is exposed to sunlight it starts to produce electricity. Solar arrays need to be hooked together, wired into an inverter and then hooked into the utility energy grid. Anyone attempting to install home solar panels needs to be very knowledgeable about electrical safety so they don’t get zapped. Fire is also a consideration. Faulty electrical work always creates a fire hazard, while your roof might not burst into flames immediately, over time through exposure and age, electrical connections that are not properly made might fail causing a real fire danger. Does A Do-It-Yourself Home Solar Installation Save Money? The answer is; very rarely. In the beginning of the home solar power movement solar panels were very expensive and supply was limited. Most all home solar systems were paid for totally out of pocket and net metering and power purchase agreements were a thing of the future. The future is here now, technological advances in the production of solar panels for home systems has dropped the price and raised quality, improving overall performance. Rebates and incentives combined with the low cost of solar hardware make it possible for many people to get solar power installed for Zero or very little out of pocket costs. Even with an outright purchase most professionally installed home solar energy systems will pay for themselves in a little as 10 years through monthly savings on your energy bill. Why would you risk life and limb, when you don’t have to? There is a labyrinth of permits to negotiate in the process of setting up home solar power systems. Often time a single home solar power installation will require state, local, municipal. Required permits may include construction permits, building permits, electrical permits and even permits from your electric company. 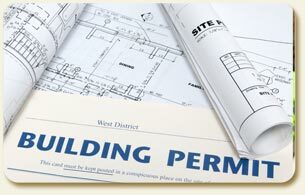 Permits usually also include inspection for final approval of the permit requiring knowledge of the inspection process. Our Solar experts work with permitting every day. They are very familiar with every permit required for your specific installation you will never be surprised with unexpected costs or inspection problems. Most permits also require that any work done must be by a certified professional. Electrical, building and solar installations usually require very specific licenses. Not worth the investment that would be required of the home do-it-yourselfer. All of our solar installation experts are fully licensed and certified to perform their work in your area. Permits, Licensing and inspections are just a part of the paperwork that puts an extra burden on the do-it-yourselfer. Federal, state, local and utility rebates and incentives are often combined to offset the cost of a home solar power system. Some are tax rebates, some are straight up cash rebates and some are tied to energy usage. Knowing what rebates are available and how to apply for them properly is something a solar power company specializes in saving money. Money the DIY person quite probably would leave laying on the table. We respect the pleasure a successful DIY home improvement project can bring. Gazing at your completed project, hands on hips, chest slightly puffed up while proudly exclaiming (to anyone who might hear) “I DID THAT!” Save that feeling for replacing the transmission in your car or building a fence, installing Home Solar Power is just one of those projects best left to a professional. The best way to satisfy your DIY home solar urge is by understanding all of the solar options available to you. Contact one of our solar advisors, we will help guide you while saving you money and keeping you safe.